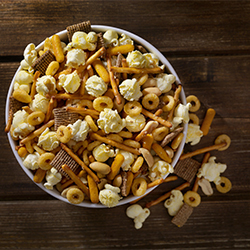 This snack mix is perfect for entertaining guests or your next movie night. Put all of the ingredients into a large bowl and mix together. Enjoy!